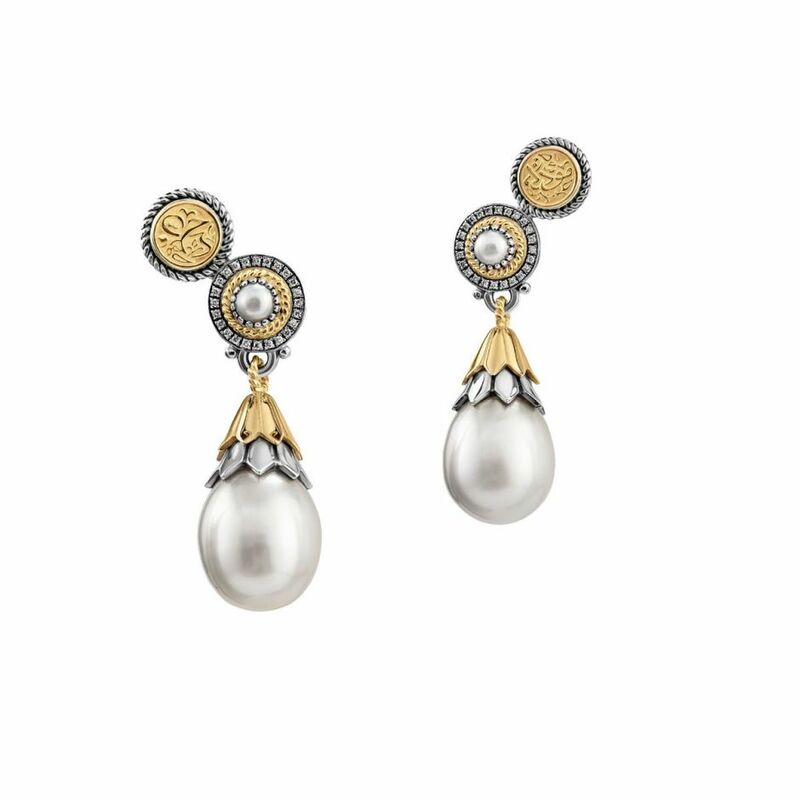 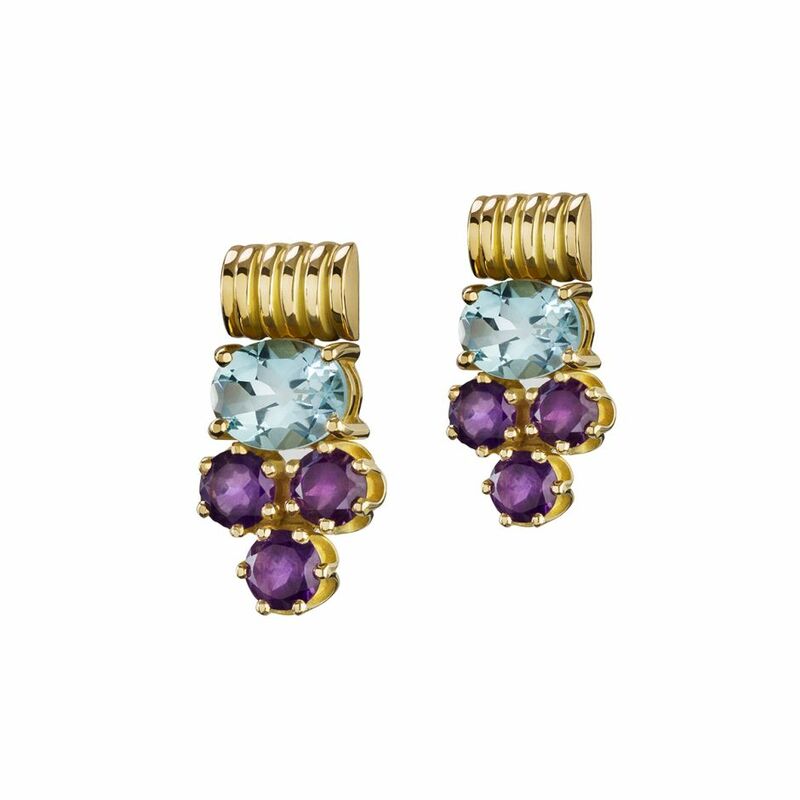 18kt Gold and Sterling Silver lotus bud ear climbers adorned with our signature calligraphy and precious stones. 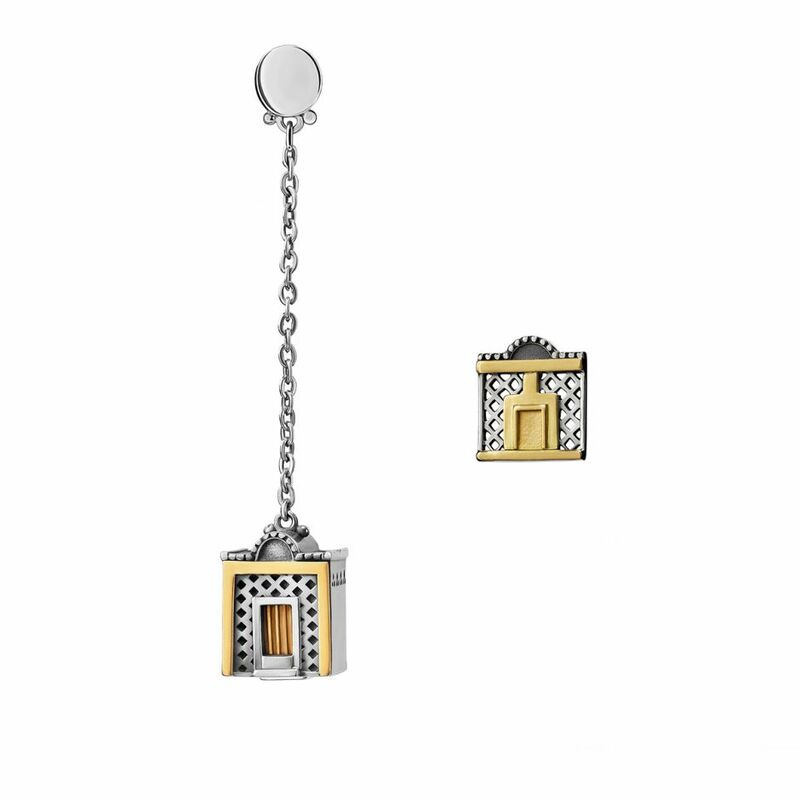 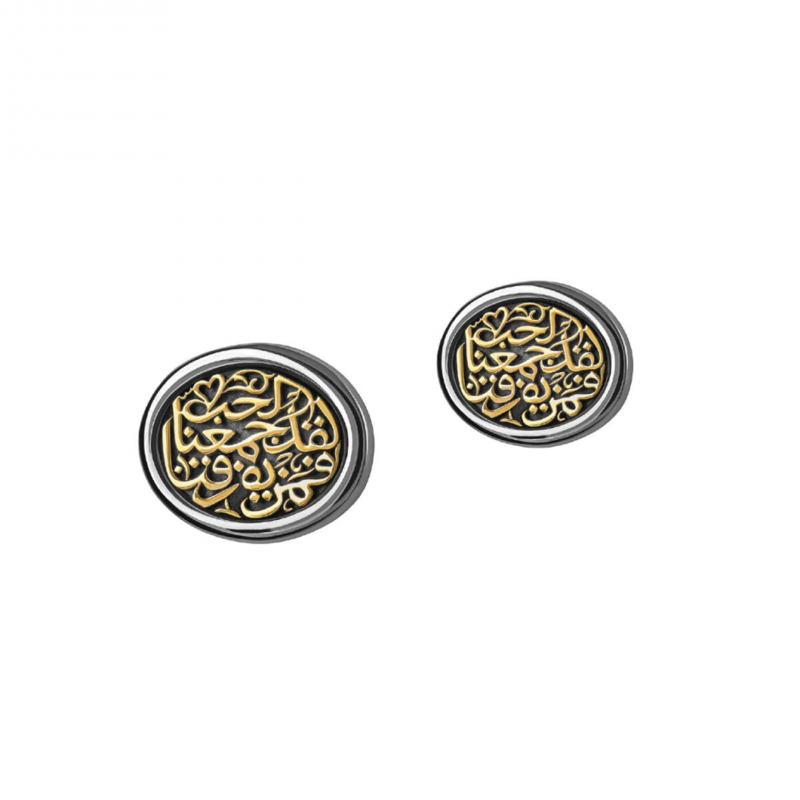 18kt Gold and Sterling Silver classic calligraphy button earrings. 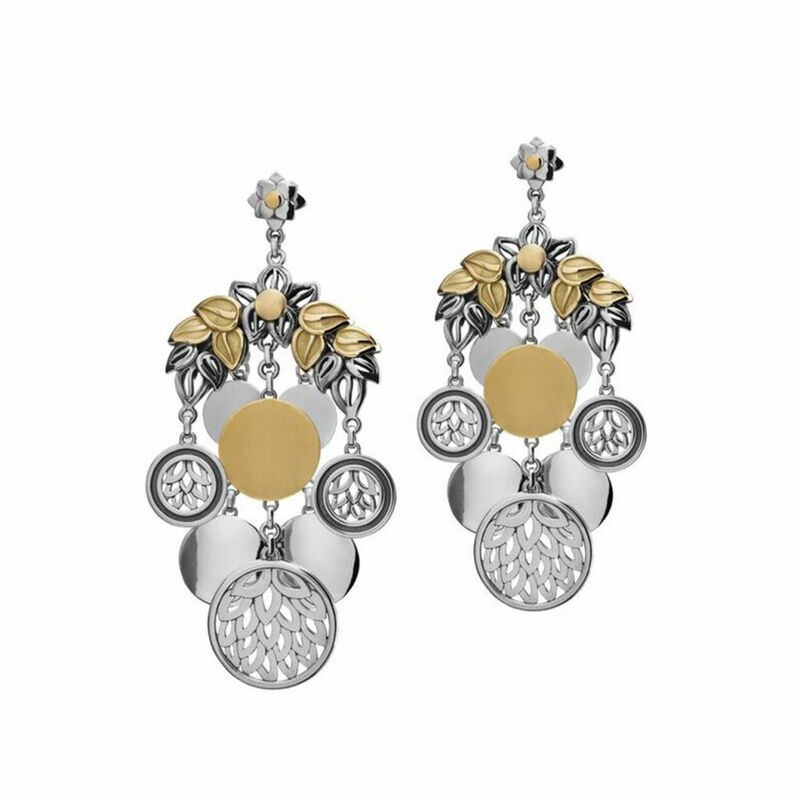 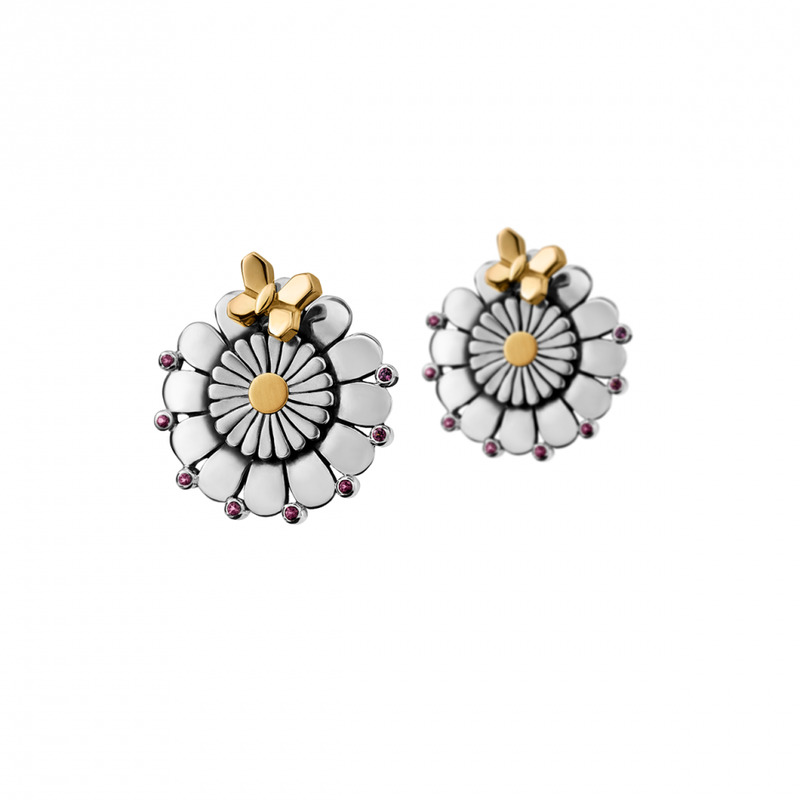 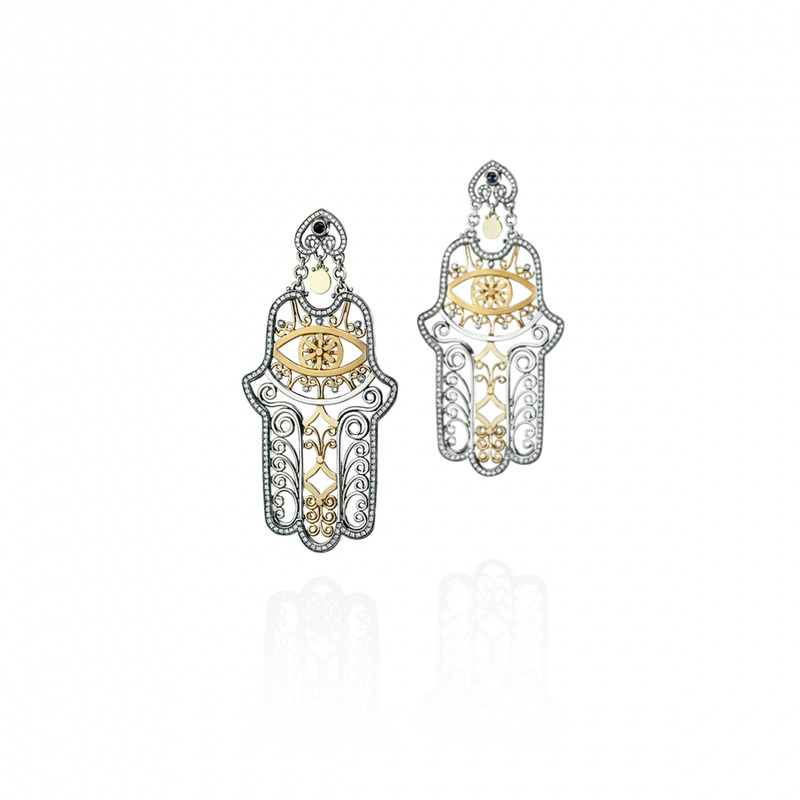 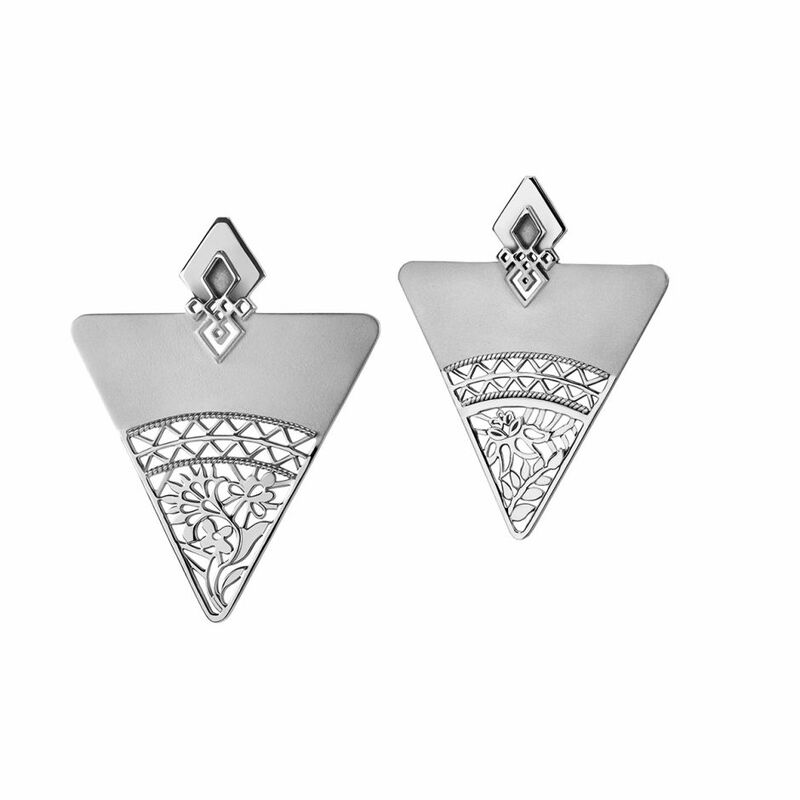 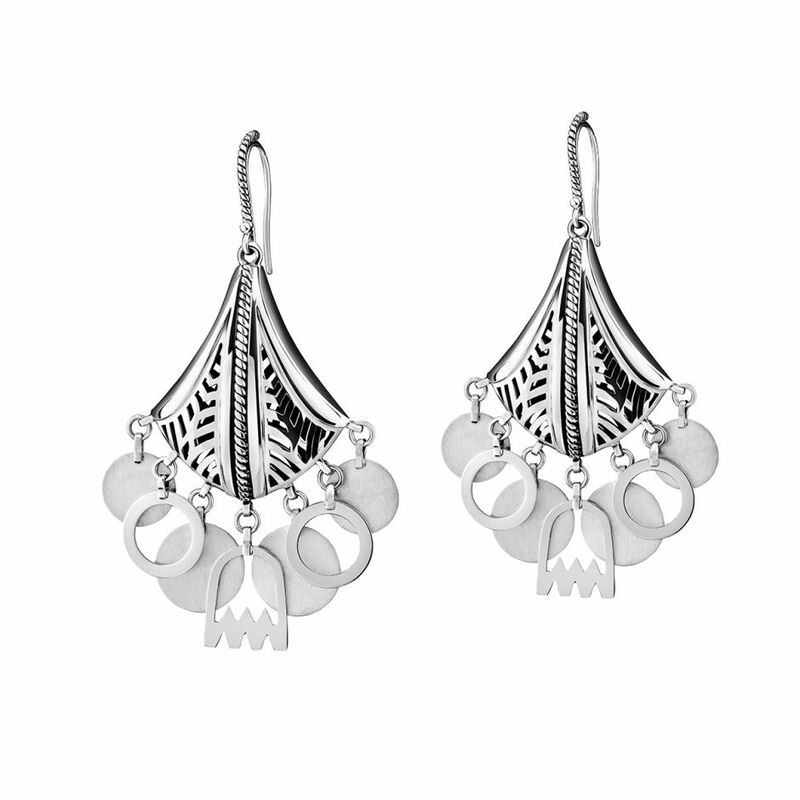 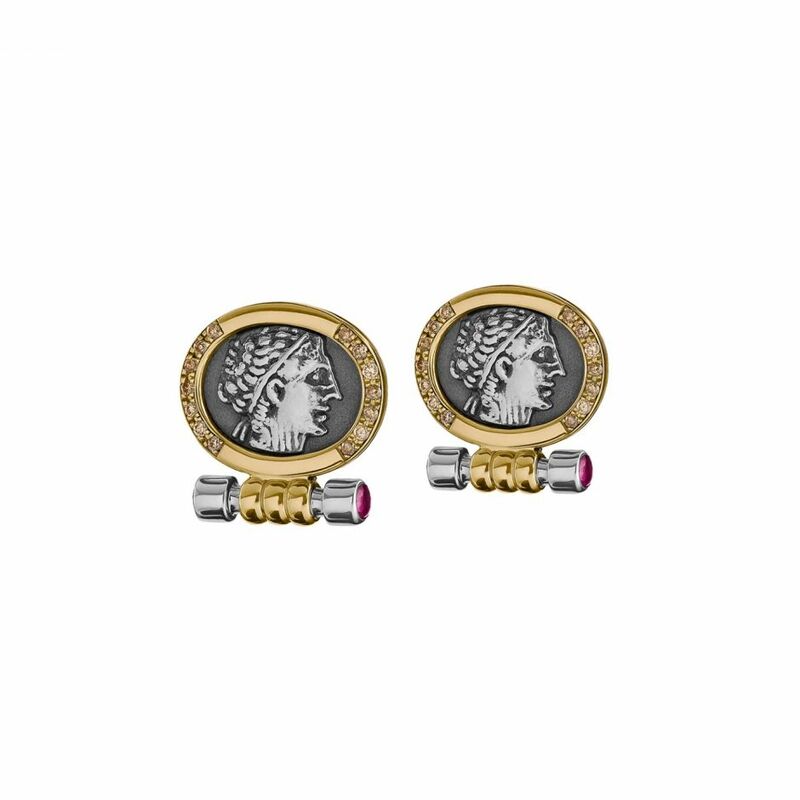 Sterling Silver Tribal Earrings adorned with floral motifs, inspired by Imazighen tribes. 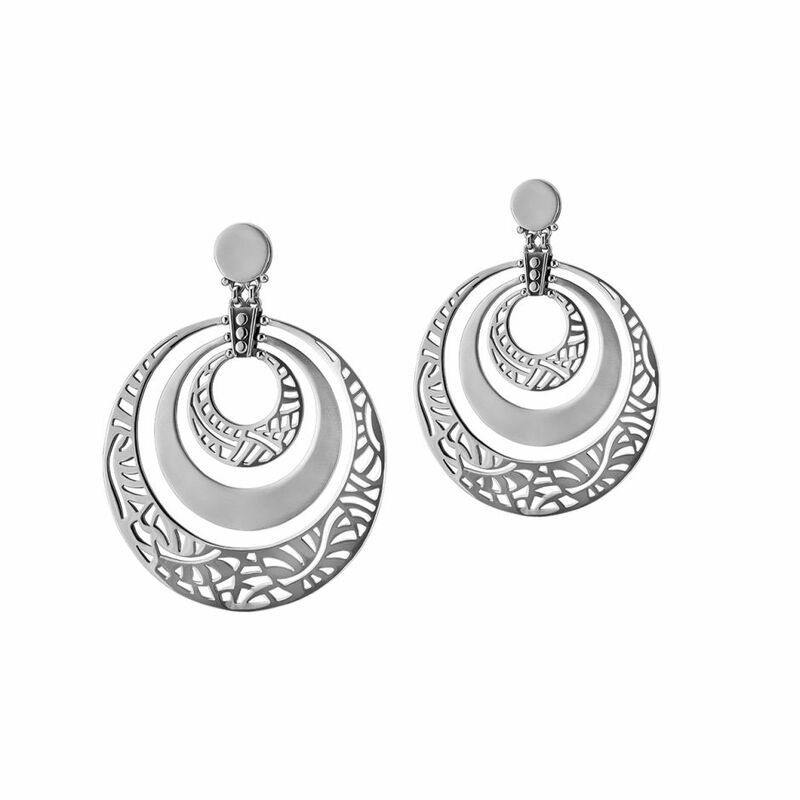 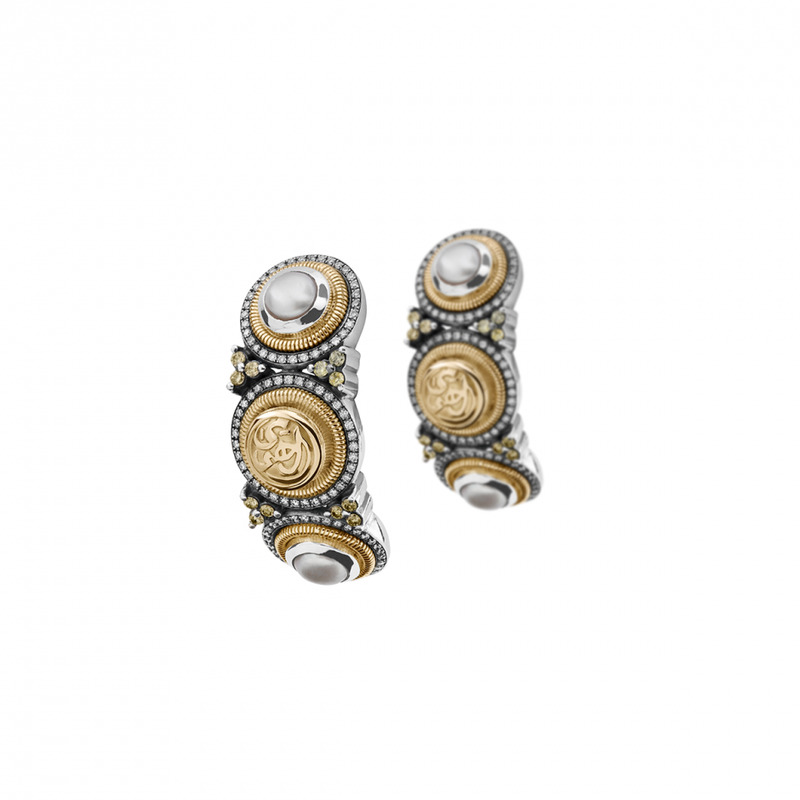 Sterling Silver Hoop Earrings adorned with Tribal motifs. 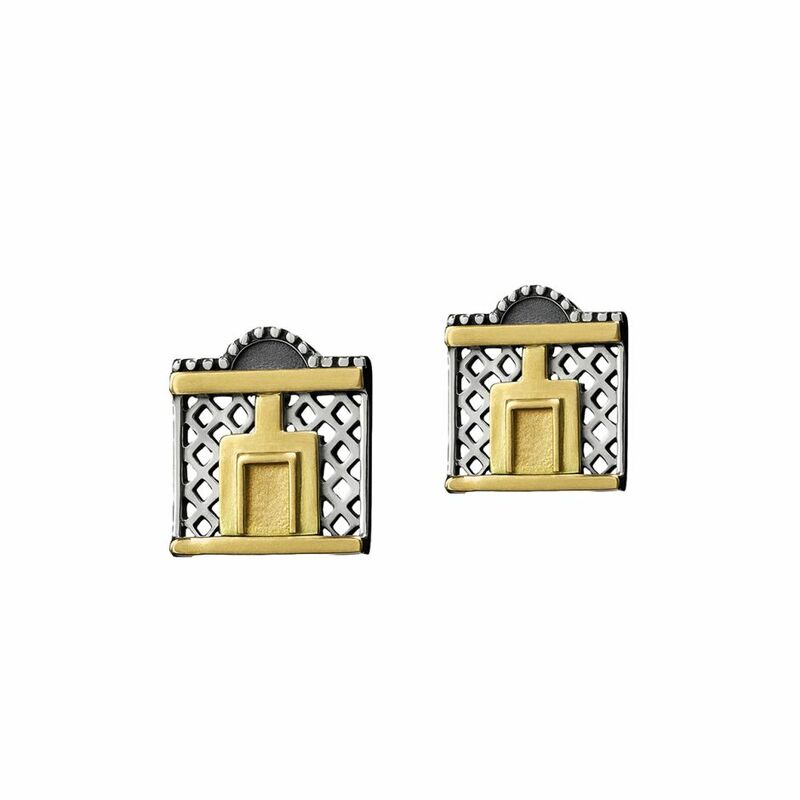 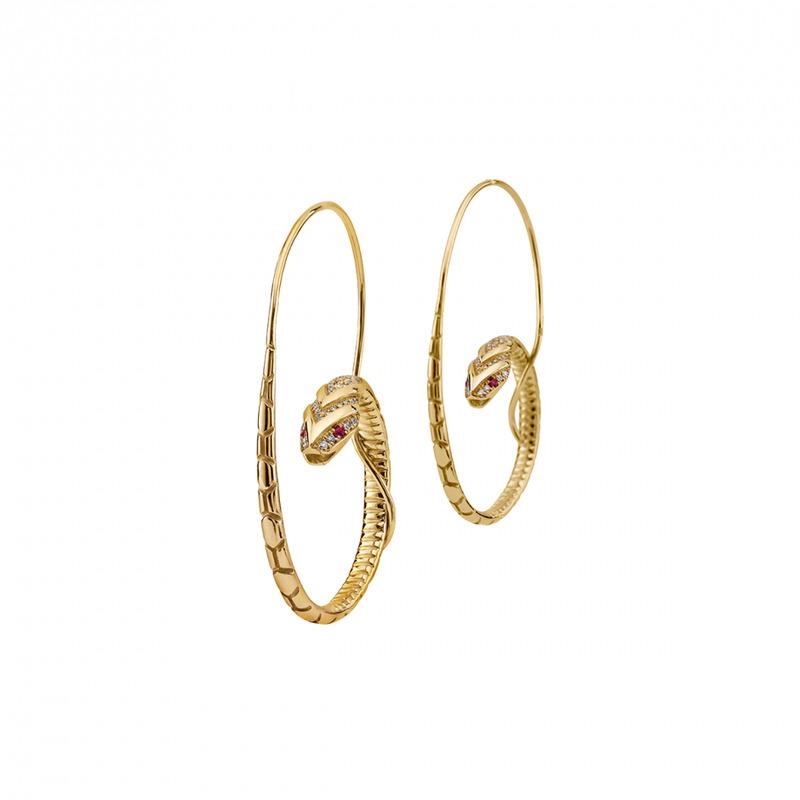 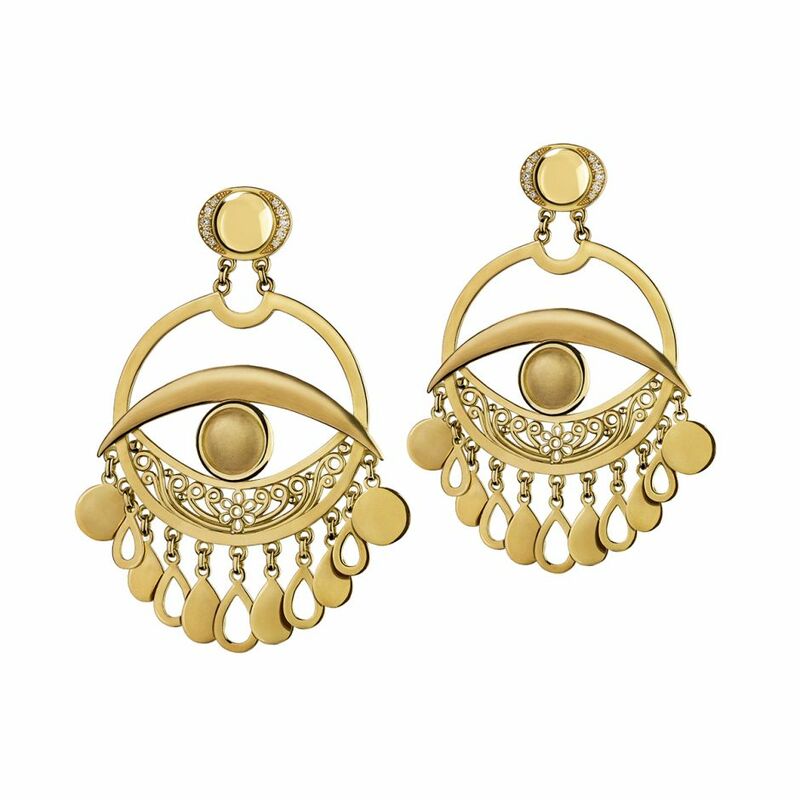 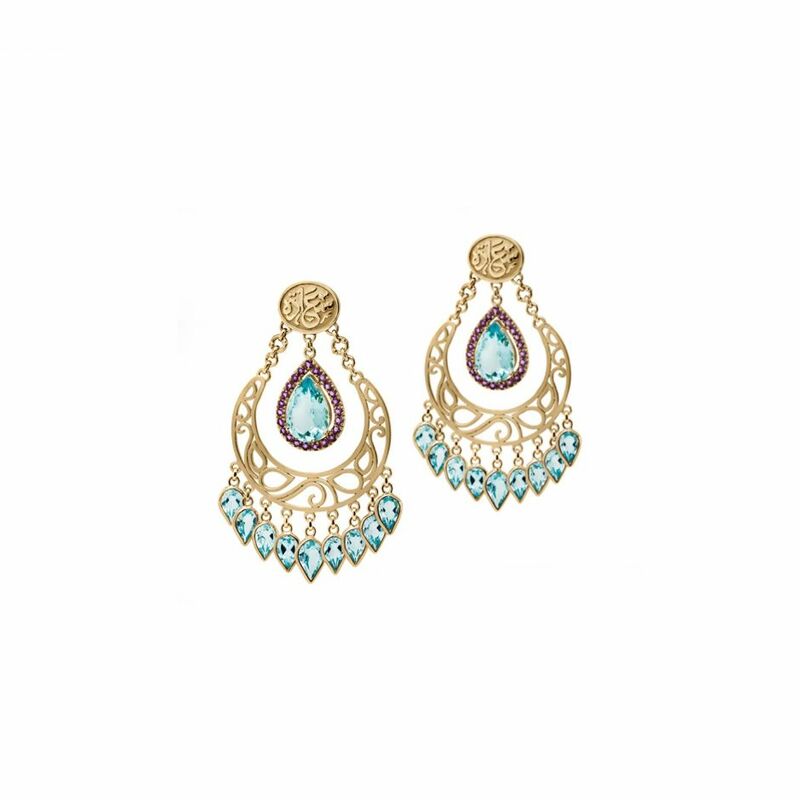 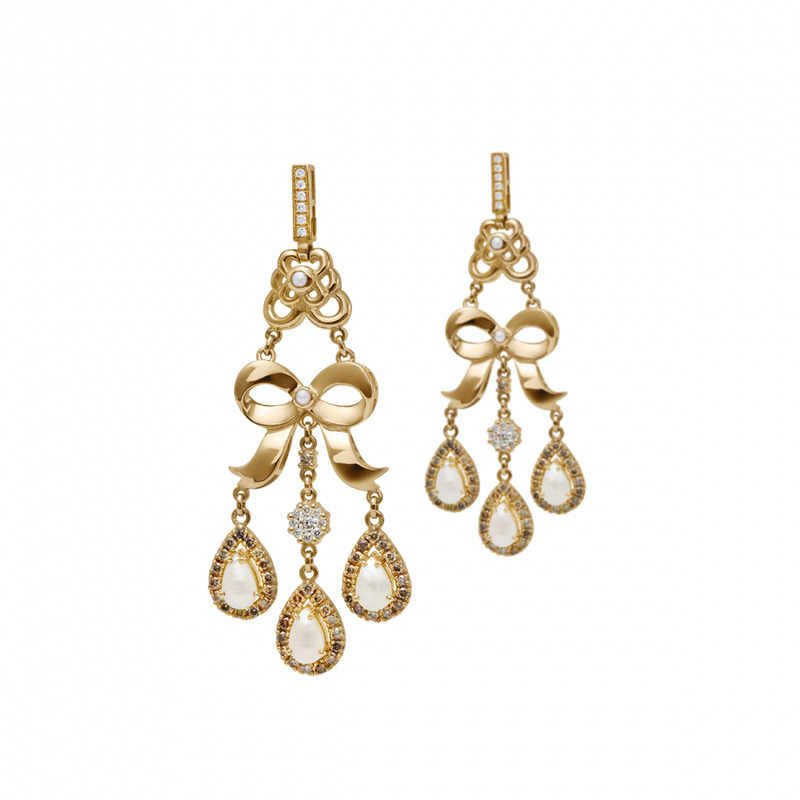 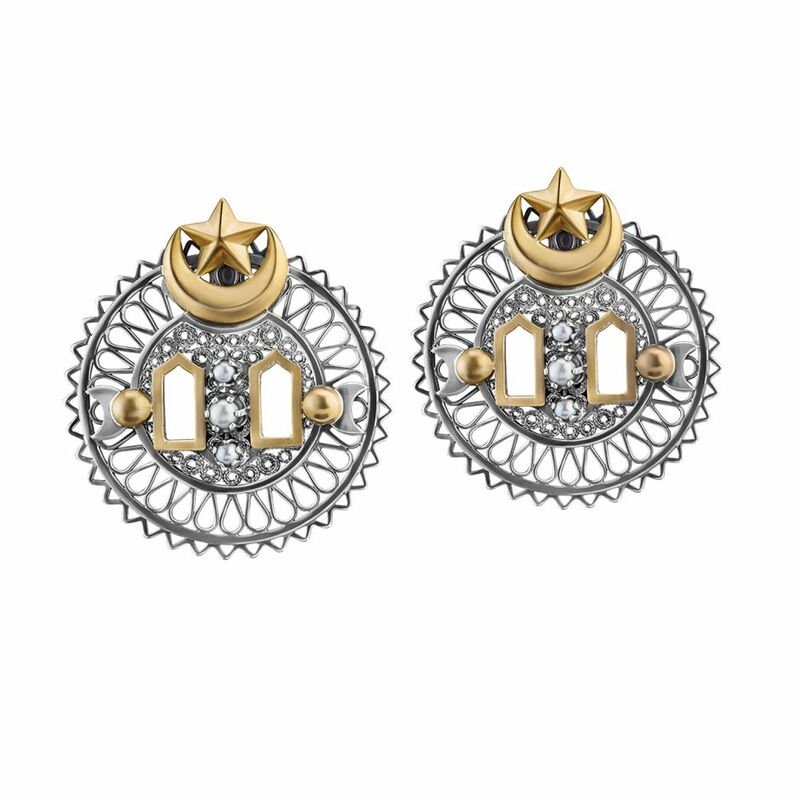 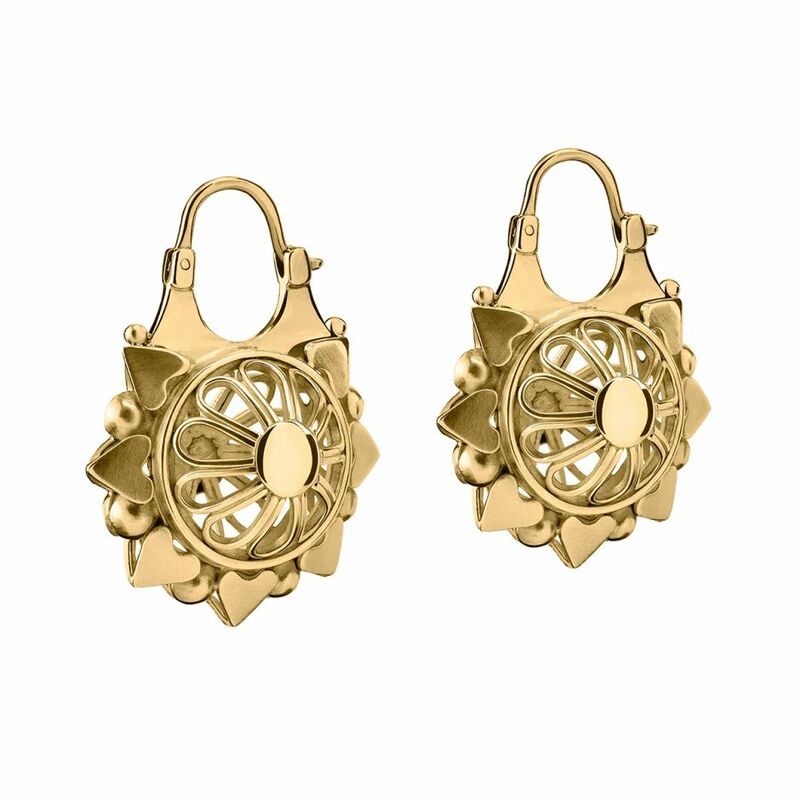 18kt Gold Eye Earrings adorned with Ajour wire work and Diamonds. 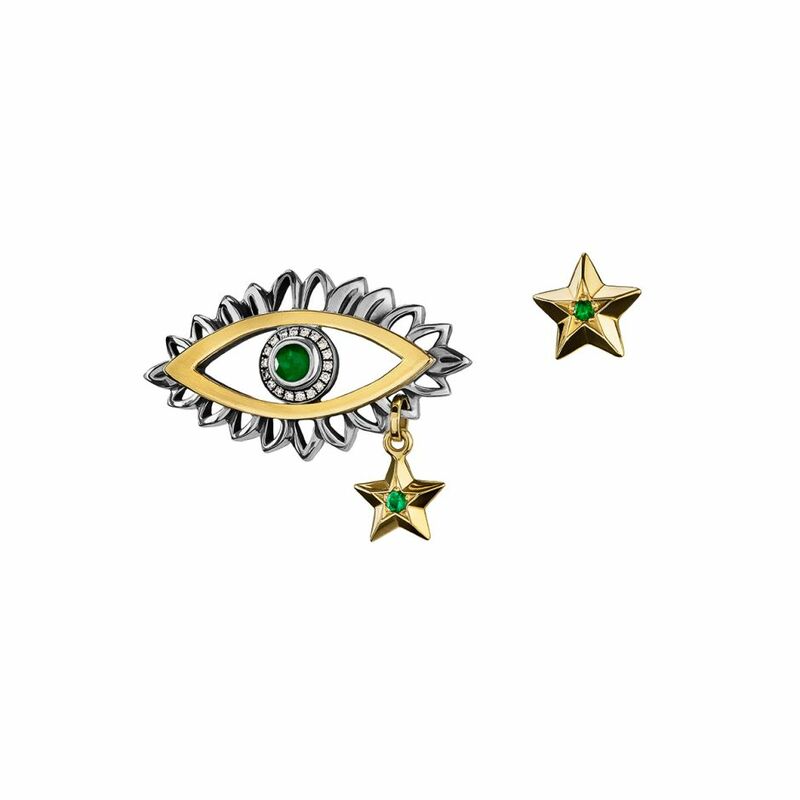 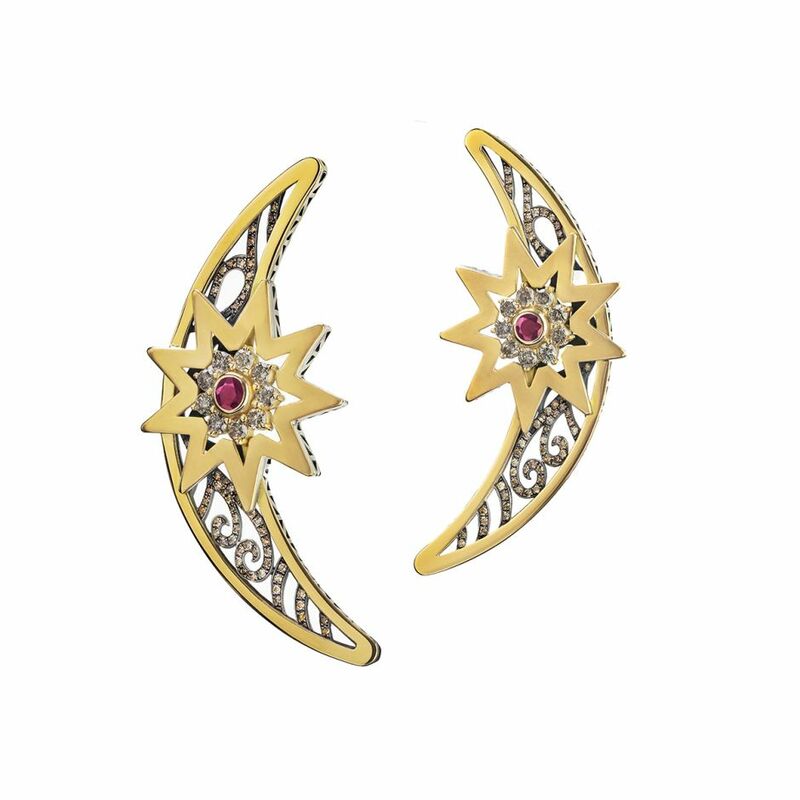 18kt Gold and Sterling Silver Crescent and Star Earrings adorned with Ajour wire work and precious stones. 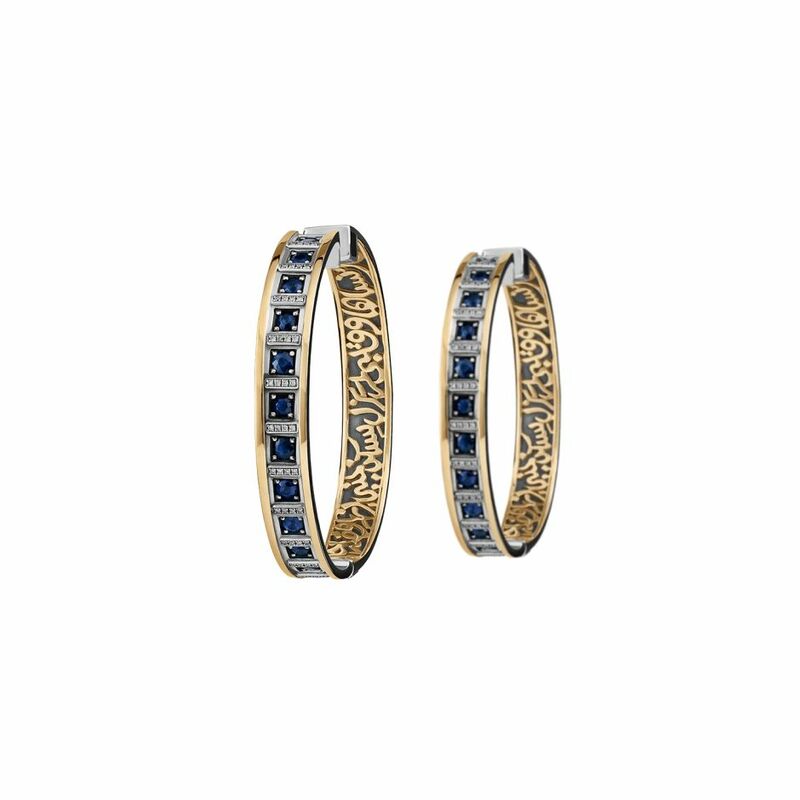 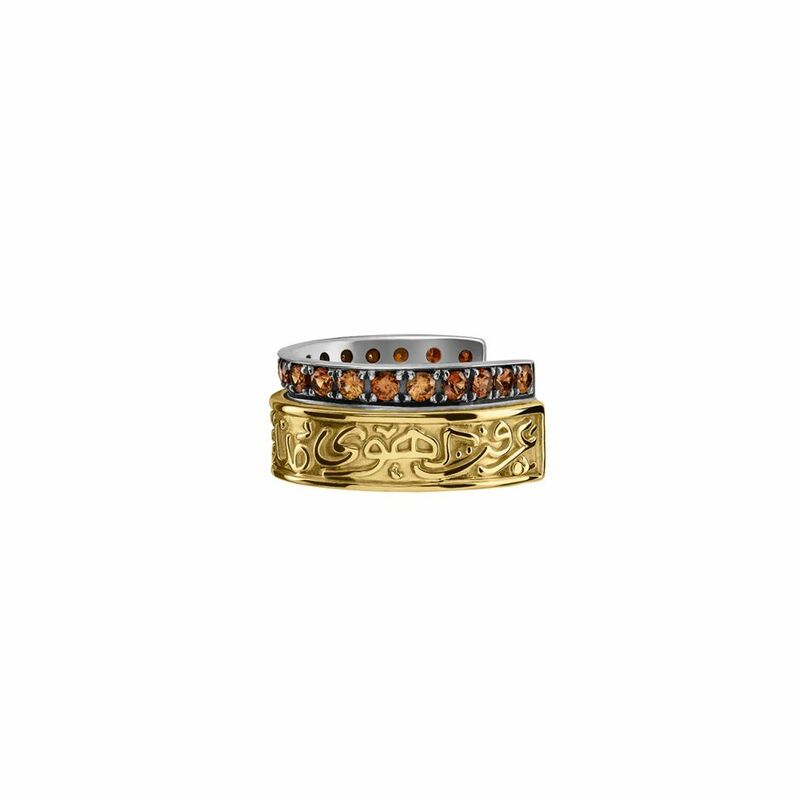 18 Kt Gold and Sterling silver cuff earring adorned with calligraphy and semi-precious stones English: I have known passion since I’ve known you.